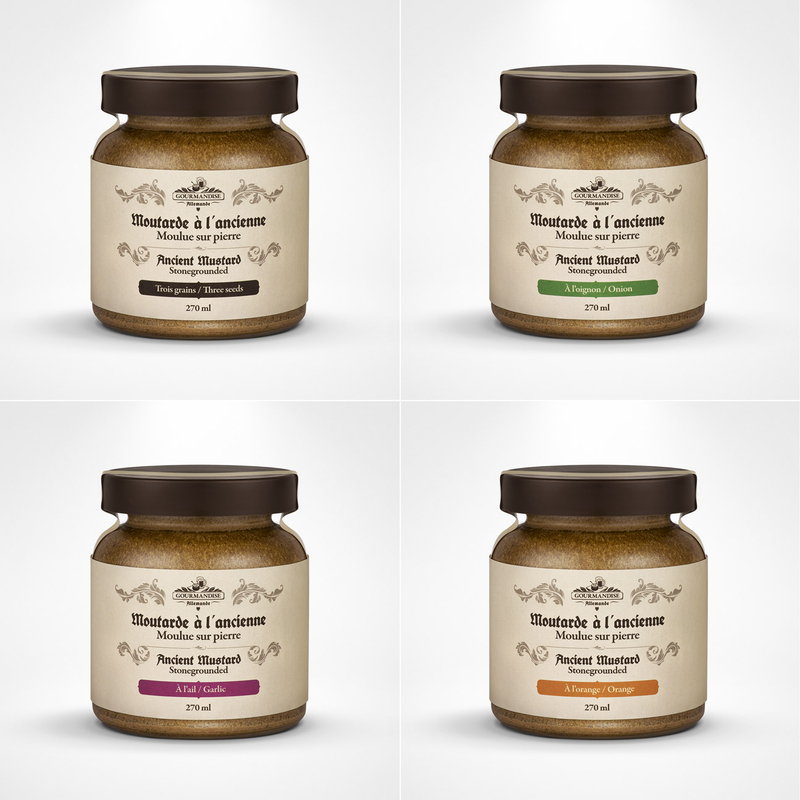 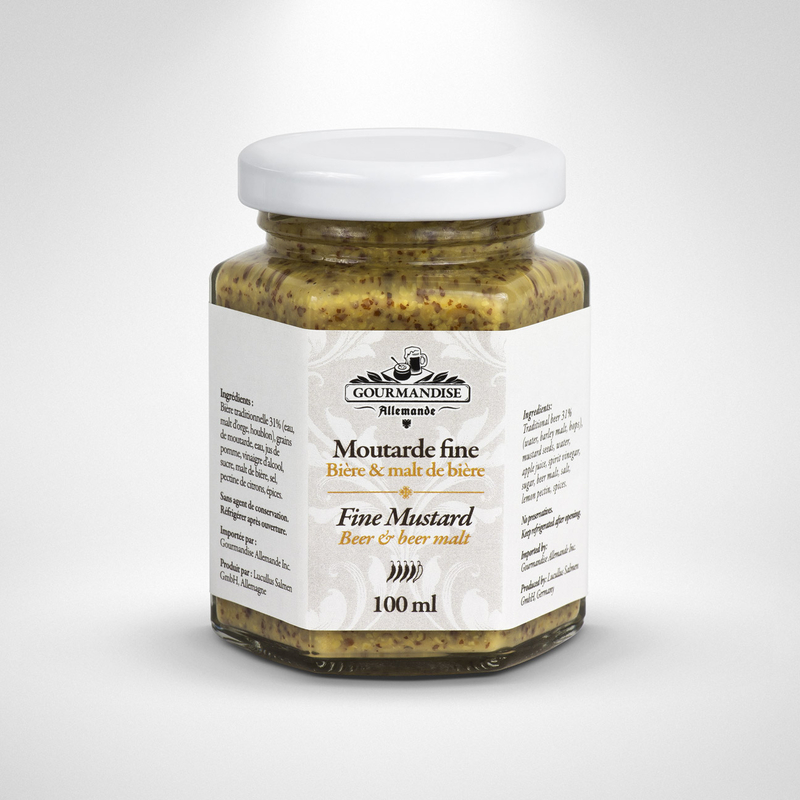 In 2016, Montreal company Gourmandise Allemande decided to launch their own selection of craft mustards. 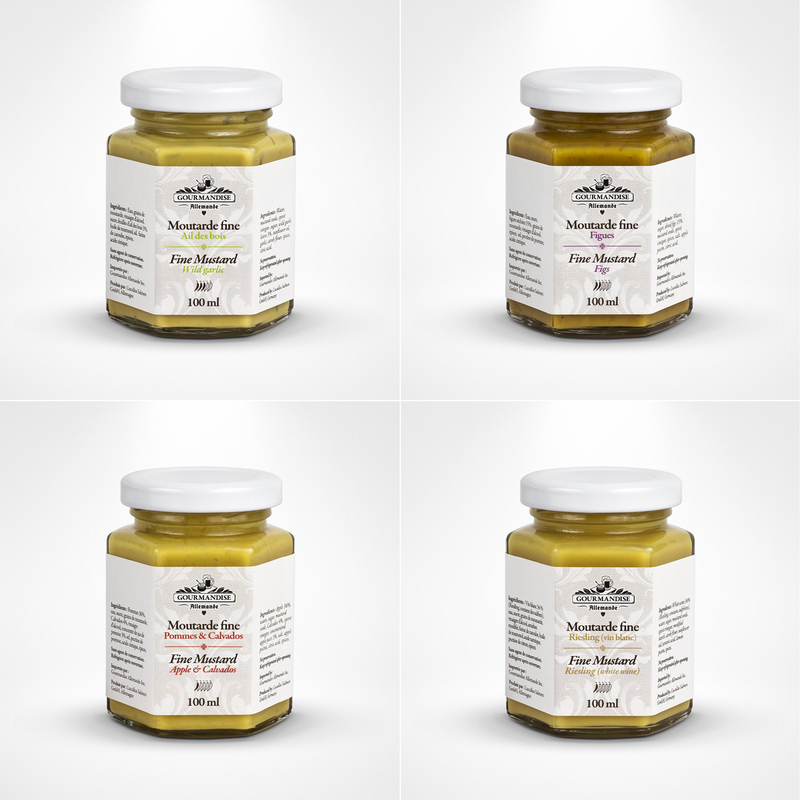 They offer two lines of products, which come in five different varieties each. 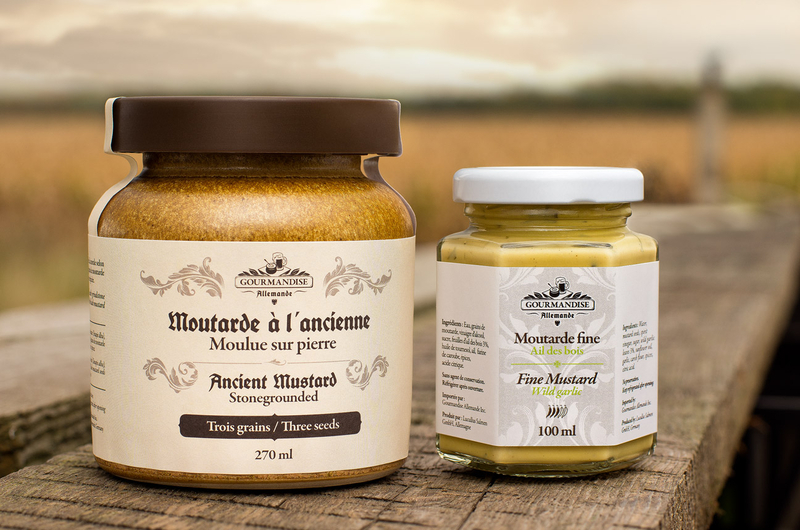 These mustards, which are crafted in an old watermill near Weimar in eastern Germany, are imported exclusively and are now available in more than 1000 stores and establishments throughout Quebec. 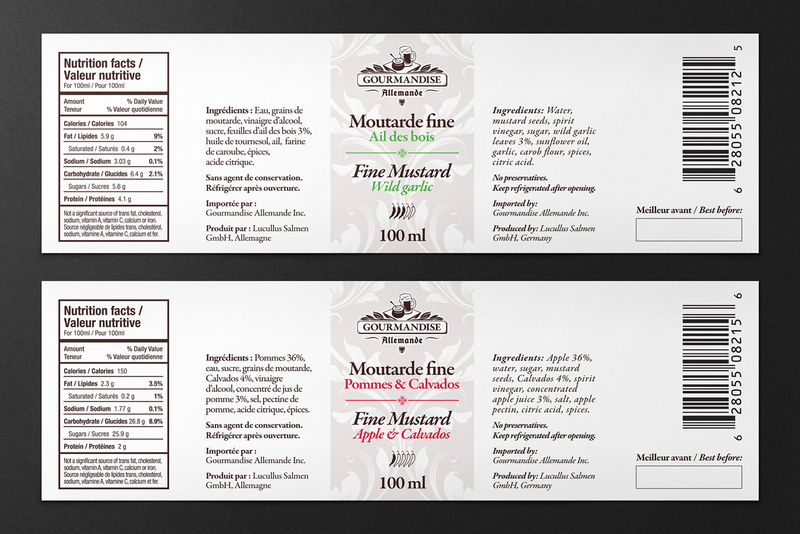 Mandate : To market their new products, the client asked us to create the branding and to design the packaging of their two lines. 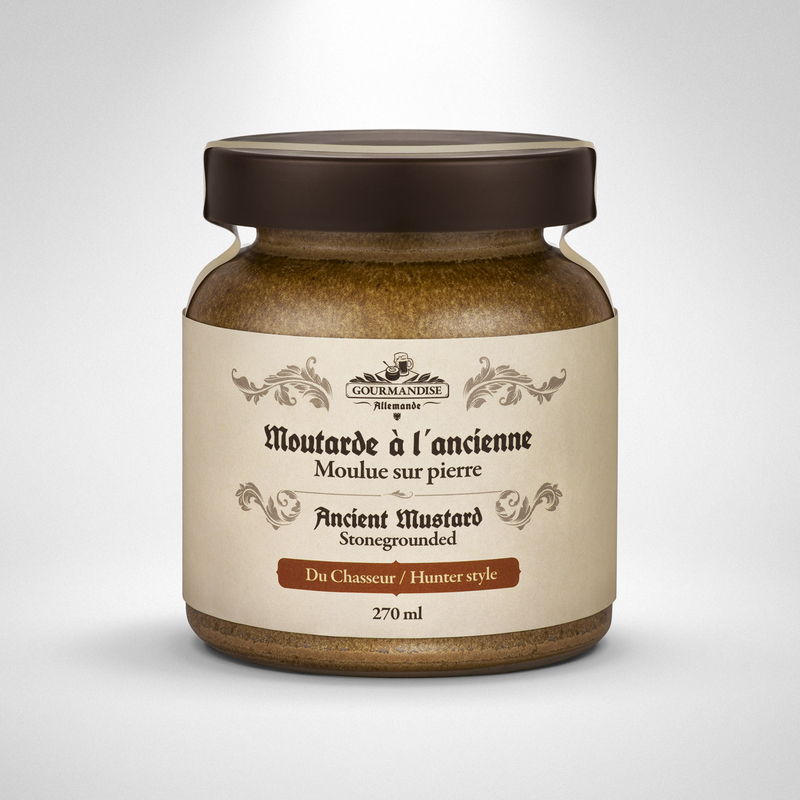 For the Ancient Mustards line, we opted for a rustic style that expresses the authentic, traditional character of the grinding method. 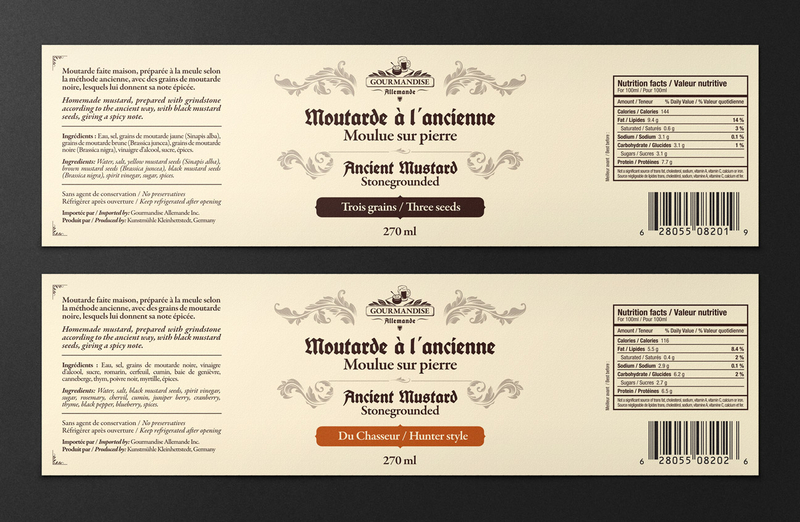 We chose to use a terracotta pot decorated with a raw paper label, on which a vintage design is silkscreened. 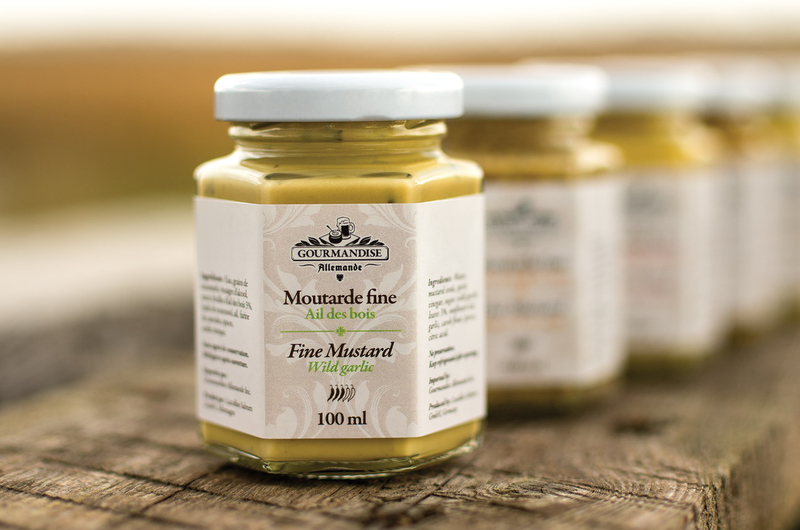 For the Fine Mustards line, we suggested a sober, purer approach that expresses the refined character of these mustard flavours. 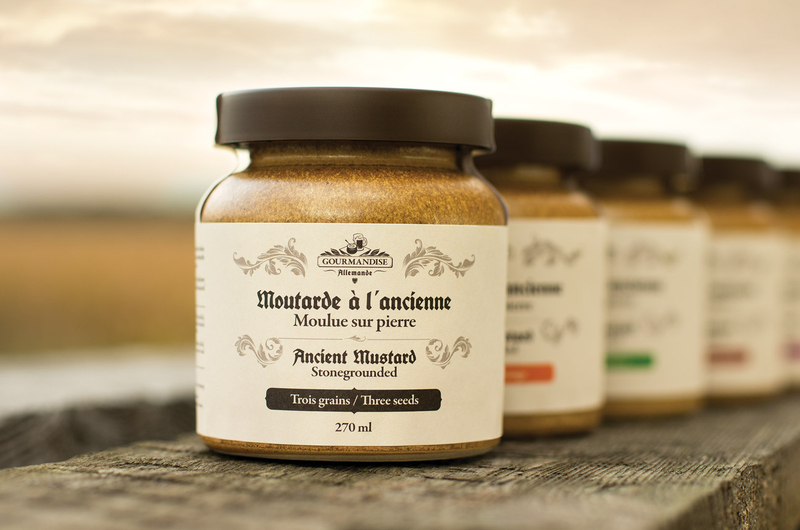 We chose to use a small clear glass container in order to highlight the colour and texture of the product, and added a white label with a classic, floral design. 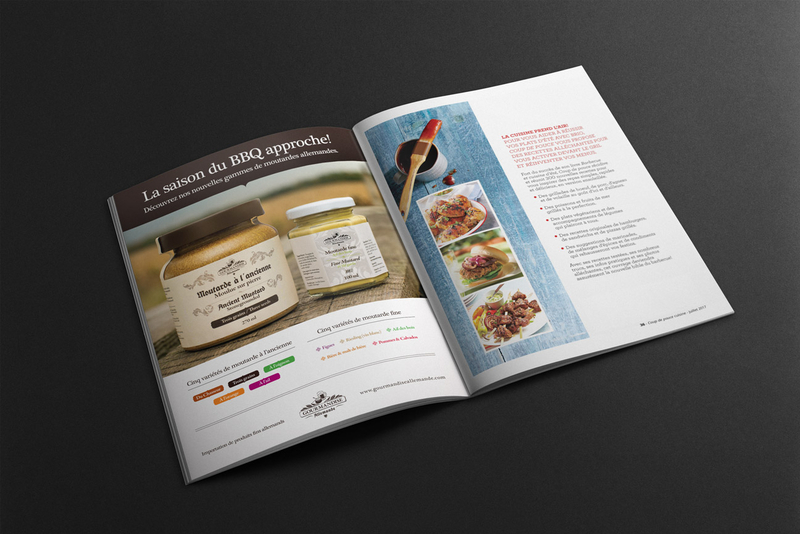 We were later mandated with photographic direction and image retouching for print advertisements that we created for Ricardo and Pratico-Pratique magazines.